I was walking through my apricot rose garden looking for a subject for this week’s Rose of the Week and this beautiful bush, covered in golden yellow, flushed with vermillion and various shades of pink blooms, grabbed my attention. One of the reasons I decided to do Rose of the Week was to take note and appreciate roses that don’t usually get my attention. Dame Elisabeth Murdoch falls into that category. Before yesterday, I would not have known I owned a Dame Elisabeth Murdoch… and just look at it. Stunning. Dame Elisabeth Murdoch is a Hybrid Tea rose. The flowers are medium to large with a magnificent blending of colours. I have read that the shades of the flower depend on the soil conditions and weather. The blooms are lightly perfumed. 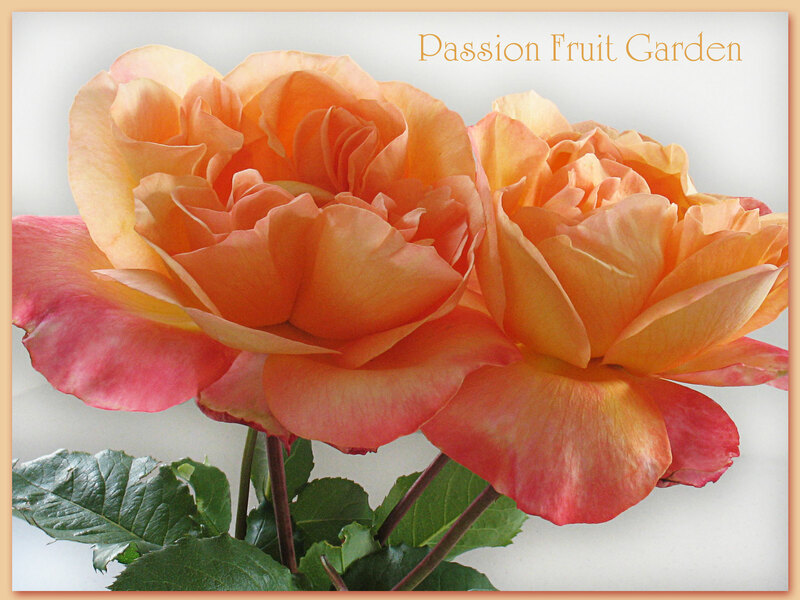 The large buds form on tall healthy stems which make them perfect for picking and they hold well in the vase. I picked these yesterday and there is no sign of drooping. The foliage is a glossy dark green. 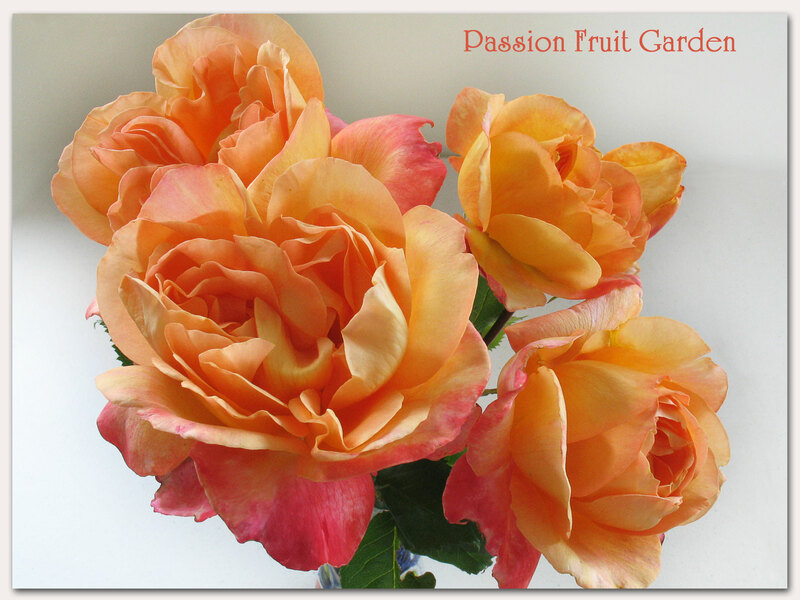 The bush grows to about 0.9m and is quite bushy and lush for a Hybrid Tea rose. The bush is very disease resistant. Mine has a little black spot at the moment but nothing worth worrying about. There are many in worse condition. When researching the rose, I came across a forum where a woman from Newcastle NSW saw Dame Elisabeth Murdoch growing en masse in Tasmania and asked whether it would grow in Newcastle. She received responses from Melbourne and Central NSW, both saying the plant was doing well in each climate. I can add that it is doing very well in the SW of Western Australia. Clearly, it does well from cool temperate to warm climes. Dame Elisabeth Murdoch was bred by W. Kordes & Sons (Germany, 1999). It was introduced in United States by Wayside Gardens in 2008 as ‘Speelwark‘. Dame Elisabeth Murdoch was named after a great Australian philanthropist who also happens to be Rupert Murdoch’s mother. Dame Elisabeth died in December, 2012, aged 103 years. This entry was posted in Bush Rose, Hybrid Tea Roses, Modern Garden Roses, Rose of the week and tagged Varigated roses by Glenda. Bookmark the permalink. The Dame Elisabeth Murdoch rose is one I always add to my rose garden when I move houses. Pity it doesn’t have a sweeter perfume, but I’m not too worried about that because it’s a really good rose. That’s a stunning rose & I love the variations in color. You must have quite the amazing rose garden. It seems like you just keep on show me more & more beauties. Hi Diane, I do have a few. Would that be a ‘few’ like your cookbooks? What a pity John, it is very pretty. What about a David Austin? They have been bred for the UK. Is it my imagination or is your photography getting better? New camera? New skills? Nice job on a truly beautiful subject. And while I would not wish ill will on Dame Elisabeth, I think she perhaps could have done a little better job raising kids. Hi Doc. Good to hear from you. Thanks for the comment on the photography, I too think it is getting better. I think the answer is time. I have been learning, learning learning in the last year or so. You are so right re Dame Elisabeth, I don’t know what she did wrong.